Right on cue, Apple has released tvOS 10.2 software update for Apple TV 4 users around the globe. Here’s how you can update right away. Since its launch alongside the Apple TV 4, tvOS has seen a handful of changes that aren’t too drastic. That trend continues with the release of tvOS 10.2, which focuses more on stability rather than introducing new features to the table. Nonetheless, it’s an important little update, and one which everyone should download without giving a second thought. 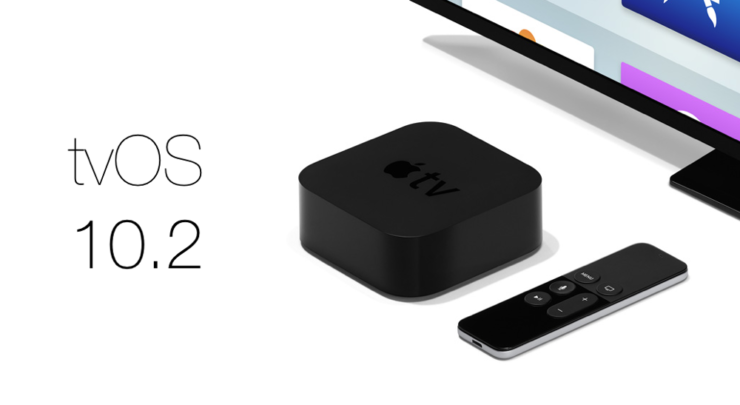 Speaking of downloads – there are two routes which you can take in order to install tvOS 10.2. One is the over the air method that retains all your settings and files but brings you to the latest release. While the second one is the clean installation route, which from the name you can already tell will erase all your files and settings so you can start over fresh. The over the air route is the simplest to follow and all it takes for the user is to navigate to Settings > System > Software Updates. Once here, simply download and install the available software update. But if you wish to reap the maximum benefit of the update, then you might want to perform a clean restore using iTunes. In order to do that, first and foremost download the tvOS 10.2 IPSW file from the link below. Depending on the type of computer you have, you will either need a USB-C to USB-A, or a USB-C to USB-C cable. The USB-C end of the cable goes into your Apple TV 4, while the other one into your computer. Once hooked up and connected to a power outlet, launch iTunes on your PC or Mac. As soon as the device is recognized, select it from the top left hand corner and then click on ‘Restore Apple TV.’ At this point simply select the IPSW file you downloaded from the link above and you are done. iTunes will prompt you once the installation is complete. Simply unplug your Apple TV 4 and start using it as you normally would. If you consume a lot of content on your Apple TV, then it’s highly recommended to stay on top of your game and install the latest software updates whenever they are available. It barely takes any sort of time, but in the end you are left with software installation that’s up to date and ready to take in any sort of task.